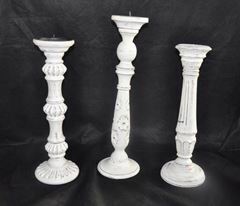 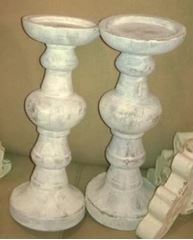 Shabby chic candle pillars / distressed candle pillars - various sizes. 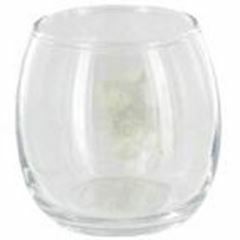 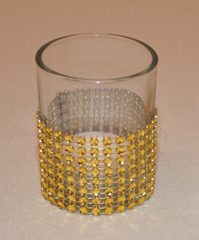 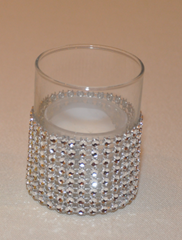 Use them to hold LED candles or flowers / flower balls. 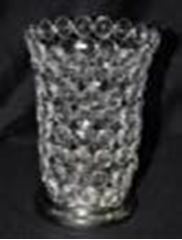 Range from 17-21" tall. 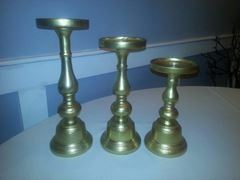 Gold Trio candle pillars can be used with LED battery operated candles, flower balls, cylinders on top, etc. 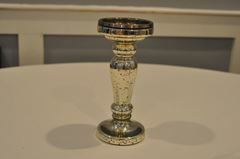 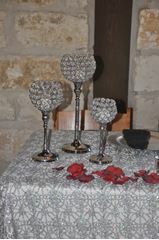 Bling trio set - these candle pillars / candle pedestals add the right touch of "bling"